Maggie was only three. She had never seen a skink before. When she went to catch it, the skink’s tail came off. 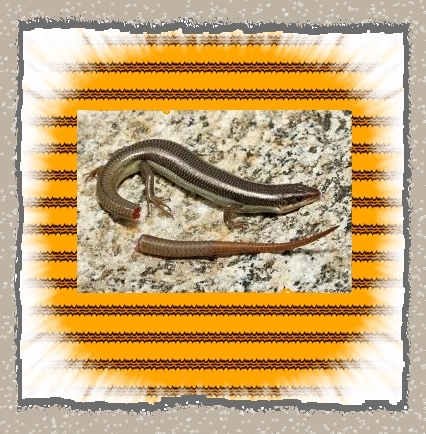 The skink’s tail would grow back, but how was Maggie to know that? Anyway, Maggie enjoyed eating the tail. Yuk! After that, she went inside and drank a nice saucer of cream on the floor next to the fridge.